I’m ready to help make an unforgettable summer for 50 amazing English-learners! I went to the HEC camp for the first time last year. I loved it so much I decided to become the HEC Coordinator. I think most people walk away from the camp amazed with the students, the activities, the beautiful camp, and the plethora of wonderful friends and memories made there. My experience is a little different as I helped out behind the scenes; mostly interacting with other volunteers to keep the ship running smoothly while the amazing coordinators of last year put out fires and… well, coordinated. So what I saw at camp that lit a fire under me to do something was the volunteers. Everyone came together as their own unique selves to offer to the camp. Everyone put so much of themselves into everything they did. 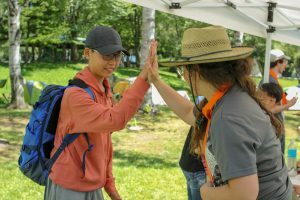 Even in the heat and even when things didn’t go quite as planned, these volunteers really stepped up and made the camp an unforgettable experience for everyone. I think too often the skills and passion that got us to Japan is forgotten, and this camp gives us an opportunity to really bring all that to the table. 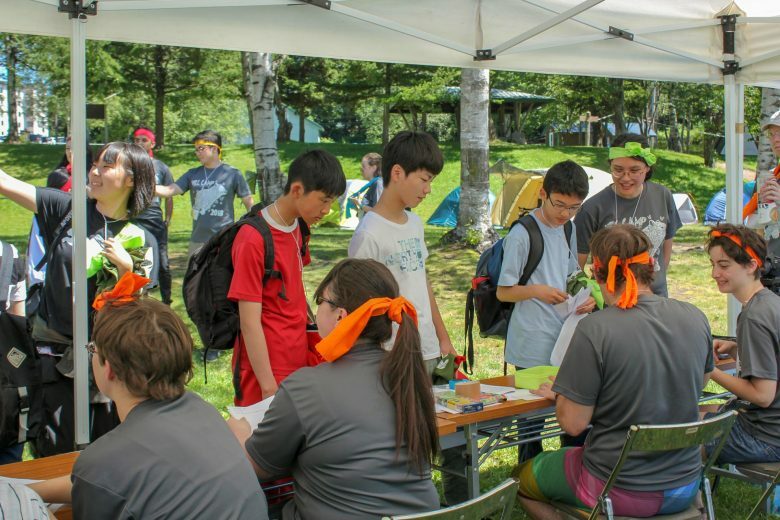 Also, the camp is so much fun and it’s the highlight of my experience in Hokkaido. I’m so excited to see what all of you bring to the camp. It’s going to be a great one and it’ll be even better with YOU! HEC 2019 Registration Deadline Approaching!